and today there will be many more. 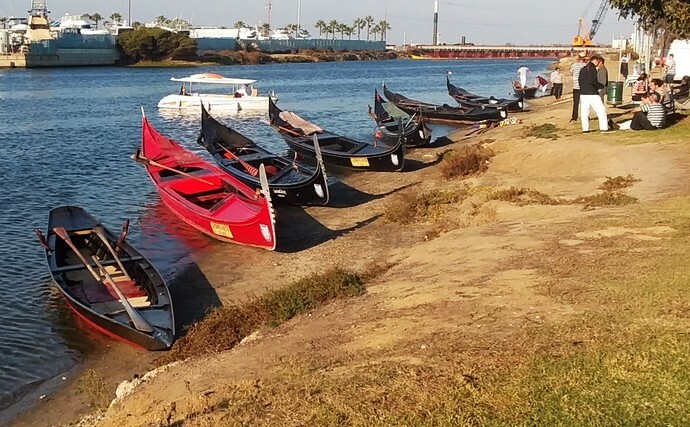 This year we have six Venice-built gondolas, a pupparin, and a small sandolo. This is the largest collection of Venice-built craft in one place right now in North America. Here's a photo of all eight boats - ready and waiting to be rowed.